"The Have-Nots Will Decide That It’s Not Worth Belonging"
Saskia Sassen ist Professorin für Soziologie an der Columbia-Universität in New York, USA. Hamburg, March 23th, 2013. The opening of the „Internationale Bauausstellung“ draws large crowds to the once derelict district of Wilhelmsburg. 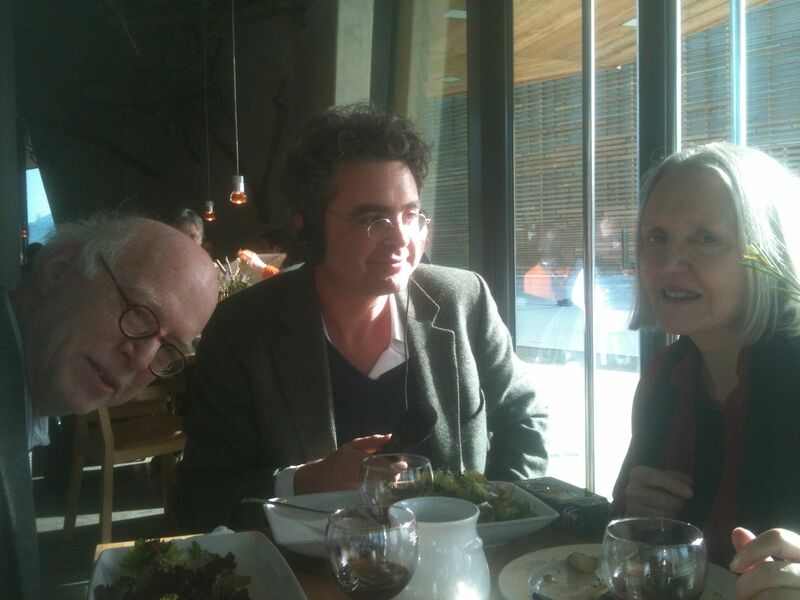 Among the prime attractions are Saskia Sassen und Richard Sennett, the Royal Couple of Sociology, two of the most influential intellectuals of the globe and – as husbands and wives often will do – agreeing on many things but by no means on all (as will be seen below). Both are scheduled to speak during the opening conference, and both have agreed to talk to me about „Europe 2023“ during lunch break. We walk to their nearby hotel „Wälderhaus“, an IBA showpiece built mainly of wood, and find a table in the crowded restaurant. So, I ask my usual opening question after we are settled: If you close your eyes and think of Europe as a polity ten years from now – how would you describe what you are seeing? Sassen: I see two possibilities. One scenario is that a space is constructed inside Europe which connects the major centers, priviledged by law, by the practices of people, highly inhabited, dynamic, circulating. That space will set the agenda for Europe. That space inevitably represents a shrinking space compared to what Europe was until very recently, an expanding corporation of people, places, activities etc. Greece is back running, but what they are not saying is that they are running on a much smaller scale and that 35% of the people are out. So, the question is, what happens outside. One possibility is spaces of misery, what we see in Greece, what we see in the United States, where we have a lot of expelling. I think of this era as an era of expulsion. Sassen: The other possibility, and now I am thinking of Europe, is that this becomes a space of making by necessity. Because it will partially be abandoned, there will not be the EU subventions, because it is a space more like a slum, not in the visual sense, but in the sense, when you arrive at a slum from the countryside, you roll up your sleeves and you start, you make a little economy for yourself, make your housing, make sure you get some kind of water and electricity: make! Now, in the case of Europe it will not be a slum as in the Global South, but it will still be a space of making. Where we start making what we need. Those who are navigating the perfect surface will not learn how to make. They will be consumers. Those are the people who are not prepared to handle what comes next. Whereas those who have had to learn how to make, make their furniture, make their buildings, make service, those will be ready. How will these spaces function, politically? Sassen: I think that right now our governments don’t do politics. They arbitrage between this and that powerful sector, they give a bit to the discontent, it’s administering, it’s bureaucracy, it’s legitimating cuts and austerity programs that before would have been unacceptable. You know, 40 years ago there would have been a revolution, saying, hell no! The 400.000 people who were forced out of their homes in Spain would have said, no, we’re not going, why should we? So, I think politics has an ambiguous location. I think your parliament in Germany is a political body, partly because you have a Green party, because you have a leftist party, you have political visions that are different. But the US government? That’s not politics what they do. But let me stop now and let Richard talk. Sennett: My answer to your question would be, that if the current arrangements in the European Union are unchanged there will be no European Union in ten years. That it will collapse. And my own view, from a constitutional point of view, is that the architecture of democracy at the European Union is fatally defective. It’s not truly based, as it would be in a country, on population. The European Union reflects nations, but it doesn’t reflect population. For it to be something that people want to survive it has to be like a democracy in a country based on units of equal population, irrespective of nationality. I have said this to Van Rompuy, you know, the so-called president. And he said, oh, that’s too radical an idea. Well, I said, that’s the architecture of democratic rule. He raised those eyebrows of his, you know. So, I expect it to disappear. Because it is inherently undemocratic. Sassen: Are you saying that because it is undemocratic it cannot be? Because when right now we look at the world much of what is undemocratic is actually very alive. Sassen: … and inside countries! Sennett: And the only way to deal with that is for those who are on the short end, the south, if you like, the losers, to feel that the system has procedural justice. That would mean for instance that you might make a region in central Europe of relatively lightly populated areas that transcended Czech lands, Slowakia, Hungary and so on. And that the representation was that they were a contiguous body of people who together made up a unit of representation that was equal, say, to a unit in Germany. This is no great insight of my part. It’s just that we never applied to the United States of Europe the logic of how representation works in the United States or in France or within Germany, for that matter. Sennett: … has tried and failed. To really do this you would have to get rid of the European Commission which is the power. Because you have this democratic deficit, constitutionally, the conflicts between the haves and the have-nots can only go in one direction. Which is, that the have-nots decide, as people in Cyprus will, and I think probably people in Greece will soon, that it’s not worth belonging. Is there really no other way for Europe to heal its democracy deficit than to replicate the nation state model on the European level? Sennett: It should try to be a state! I believe that, culturally, there is something called Europe stretching from the Baltic states to Britain. If that culture is that of political representation, then the work of representation has to be just. And the system we have now is not that. Again, why does Europe have to be a superstate? Isn’t the EU first and foremost a very effective way to sort out the differences between nations in a peaceful and reasonable manner? Sennett: If you sort them out on a basis of nation states and of national cultures, I think what you wind up with is the present situation in which the strong extract surplus value from the weak. That’s what Germany is doing. The present system is one which magnifies rather than diminishes the capacity of the strong to oppress the weak. But compared to what? The strong would still be strong without the European Union, and weak would still be weak, but there wouldn’t be any institutions and procedures to let them negociate and peacefully talk to each other. Sennett: Without the European Union Germany would not be as strong as it is now. And Greece would not be as weak as it now. Are we talking of the Union or the Euro? Sennett: The European Union. (To Sassen) You disagree? Sennett (interrupts): I would not make the argument that the European project is about curing the evils of capitalism structurally. I would say it’s about filtering, using politics to resist economics. And to do that the policital instrument has to be one which has democratic legitimation. I think Goldman Sachs will always find ways to oppress ordinary people. 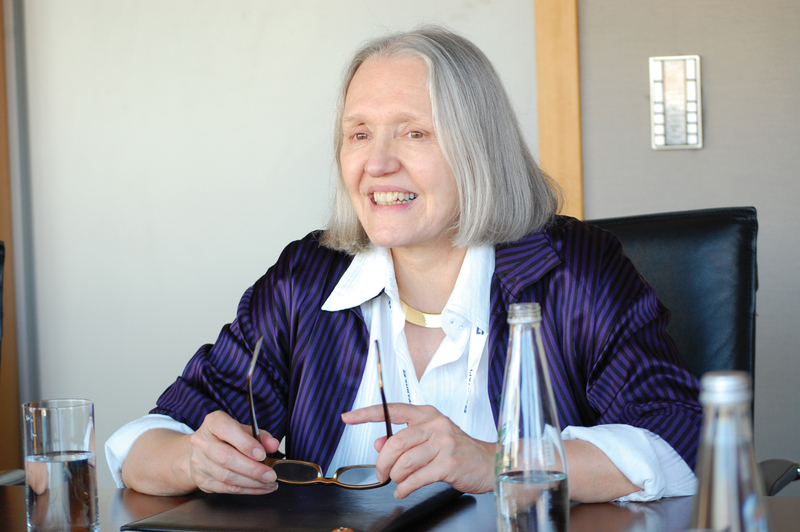 Sassen: I think of the European Union as something a bit different. I think that it really gives representation through multiple articulations, not just because they have the right to, but the fact on the ground, the way things are connected actually gives representation and voice to all kinds of entities. Because they can cut across the notion that the state is the representative of its people in international fora. Sennett: The European Union does that? Sassen: Yes. Because of its structure, its actual architecture, subsidiarity etc. The big flaw is the commission: too much power, and the parliament zero power. People barely vote. Now, that lack of participation vis-a-vis the parliament and lack of contestation to the power of the commission, one might say that this is a flaw. We see it in the United States in very different version. That is what I meant when I said there is very little politics left in democracies. But I think that the architecture of the European Union pushes in a direction where the national government – I mean, when you hear Sarkozy speak you think, my god, he has the sovereign power, when in the meantime all kinds of instrumentalities have shifted to the EU – but the speech act suggests that he has the same power that he used to, and he doesn’t. So, when you look on the actual fact on the ground, you know, the architecture, it’s a far more distributed system than the speech acts of the ministers and presidents suggests. Sennett: You have to prove that to me. I am really unconvinced by that. What does the European Union really do to protect the vulnerable? Sassen: I didn’t say that. That’s not the language. I am looking at an organisational architecture which means that Ireland, Scotland have a bit more voice than they used to, and I also mean that sub-national instances have more voice than they used to. I mean, in the liberal template, the French and American constitutions, the sovereign is a representative of its people in international fora, you know? And the European Union undermines that. Sennett: Give me a specific instance. Sassen: Well, I think that the European Union has implemented all kinds of regional policies that allow cities and regions … I mean, that was a big debate: should it be regions, should it be cities. They voted for regions, but cities were de facto more powerful instances. You know, there is a kind of distribution. You see that in certain kinds of funding of policies. For infrastructure, for climate change initiatives. It cuts across the authority of the nation space. For me, the European Union represents – I don’t know if that will change but that’s what it meant to me – the importance of trying to do it via legal instruments rather than via tanks and bombs. So, not militarized solutions in conflicts, but the opposite. (To Sennett:) Let me get back for a moment to your point that Germany is getting stronger because of the European Union. Not the Euro, but the Union. Why is that? Sennett: Well, I’m telling you something you know. It’s the strongest voice, economically, in Europe, and it is arguably the most cosmopolitan voice in Europe, for reasons we all understand. It has the thing that a hegemonic power ultimately needs, which is the notion that it is the one that speaks in the name of all. I happen to like Ms. Merkel a lot, although her policies are incredible to me. The policies are at odds of what she is projecting. She is the president of Europe. And she speaks that way. Chancellor Merkel’s policies in the crisis were percepted in Europe as her turning away from what Europe was all about initially. Do you think this is a misconception? Sennett: Well, I think she is very clever. She draws a line in the sand and says I will not step over this. And then at the last moment she always does. That is very European, to say my principles are absolute, except things are so serious that in this instance I will not follow my principles. That’s something I like about her. But I also think that’s a very European sort of thing, in a good sense. But this is a side issue. It is incontestible that Germany is Europe now. Sennett: I take what you are saying. If Europe were built as an assemblage of nation states then we have to rethink what is a nation state. It’s not Westphalian. I don’t think it should be built as an assemblage of nation states. And the idea of basing, just as we do within a country like US or Britain, sovereignty on the basis of population and contiguous areas of population, we should do in Europe. Sassen: Let me just for the sake of sport explore this a bit. I would say that also at the level of constitution, how the unit is constituted, what are the constitutive elements, we have all kinds of constitutive elements, but they cannot be seen by the eye of the state. The formal eye of formal policy, formal laws – they are there! And they are not informal either. It’s just that they pass scientific collaboration, transport, security infrastructure – all kinds of things like that. I mean there is work to be done, it’s not perfect, but there is an element of that. And so, there is perhaps a question of what is visible and what is invisible. Right now, what is most visible even in the eyes of the very best newspapers is a total distortion of what Europe means. You know, the Americans are – hee! hee! hee! – laughing to themselves all the way to the bank, so to say. They see this crisis, it’s a mess, they are producing language about Europe that captures only one little aspect. And that aspect doesn’t originate in Europe. It originates in finance. I cannot emphasize enough how much this has been a destructive force. And it creates it’s own narrative. All the journalists say, if the stock market does fine everything must be fine. When you financialize food commodities, if there is a disaster somewhere, hey, the financial sector doesn’t suffer because the price of food goes up! The ones who suffer are the ones who need the food. This is just an example to illustrate the kind of distortion that finance … – now, Richard knows my hobby to hit on finance! It’s a tragedy that in Greece over a very short period suddenly big hunks of the middle class are out! The same in Spain. I mean, what is this? What is the norm that regulates that? That is not a European norm! That is something else that comes in, and it has done that with the United States, too. Now, I agree that the commission has too much power, the parliament is going nowhere, 27 member states, translators everywhere and they have to print the papers in I don’t know how many languages, it’s just ridiculous. That’s why it’s not political, it’s bureaucratic. Why is that ridiculous? You could also look at it as an instance of really trying to cope with the diversity of the world, in a way. Sassen: It is. But one also, at some point, has to be able to be irreverent. Is that the only way in which we can respect diversity? You know, that we replicate everything? You know, in Bosnia everything has to come out in three languages, but the three languages are the same. In the meantime Bosnia is so poor. So, it’s a kind of practical perspective that says: Are we so fragile? Sennett: Here is something that is of passionate interest to me: How can we protect the cultures, the sub-cultures of Europe from its politics? If I were a Catalan or a Scot I would want to know not only how I could use the European Union to break away from Spain or from Britain, but how I could use being in the European Union as a way to protect my culture? And the irony of that is that many of the subcultures are much more cosmopolitan than the larger national cultures. Scotland, Catalonia the same thing. It’s true in central Europe too. The relation of culture and politics is a very peculiar one, because it’s the sub-units that need the center more than the national units. When you are in Edinburgh it’s virtually a different language the Scots are speaking. But it’s a culture that if you are from Estonia you would recognize right away: very cosmopolitan, and in that sense being European has protected them against being British. Sennett: Well, that’s the thing we forget. When the European Coal and Steel Community was founded the people who did it thought that this would lead to something like the United Nations. Very idealistic, they were terrified not just of Germany, but of national self-interest itself. But it certainly became something quite different. (To Sassen:) This new differentiation you pointed to, between the agenda-setters in the cities and the expelled and disowned – what is specifically European about that? Isn’t that a global phenomenon? Sassen: No, you are right, it’s a global issue. I call this the new geography of centrality that cuts across the old divides, the north and the south. And it’s the same thing in Europe. It’s quite possible that when the dust settles Madrid, Barcelona, Milano are all part of that geography of centrality. So, the nation as a container downgraded, for good and for bad. What we are seeing is an emergent global urban geopolitics. It does not replace the traditional inter-state geopolitics. But when the Prime Minister of China came to the US two years ago, he first went to Washington, of course, traditionally. And then to Chicago! Why is that? Because the two zones that have the strongest resonance with each other are not Washington and Beijing, they are very different. But Shanghai and Chicago? Amazing. Same thing with Sao Paulo! So, what I am thinking about is: when we talk about International Relations, to what extent is the other country actually a set of cities? The main narrative is still state-to-state. But that becomes an overstatement that actually hides some of these new things. You have the same thing with judges: The highest court in Israel, when they passed this astoundingly liberal sequence of judgements that said, yes, it is torture what we do, and yes, that man whose family owned a plot of land in some Israeli city, that is his land. I do a lot of stuff on the human rights regime. And it’s a very weak regime! But this multi-sited tissue created by specific organizations and institutions, this thin lilliputian web can hamper powerful structures, not destroy them, but hamper them. These are all weak regimes, but you know what? They are there! And I think the same thing about Europe: it’s emphasis on the law, let’s use the law, soft power, weak regime. But you have a proliferation of these weak regimes. Your outlook seems way less pessimistic to me than your husband’s, is that right? Sassen: Well, it is negative, you know. An elite space that works beautifully but has expelled a lot! A lot of places, a lot of people, a lot of types of economic operations: Out, out, out! We see that in the US, we see it in the Netherlands! The Netherlands, it’s a horror what is happening there. Much of Spain may go under. But some of these places at the periphery of Europe are cities, global cities. A frontier space that allows entry into the thickets of a non-globalized economy. The cultural instruments, the accounting instruments, the legal instruments allow that entry. They are very strategic zones. A corporate EU needs Madrid, needs Milano. They are not going to give it away. But the rest of the country becomes a burden. There is an architecture that keeps marginal places hanging in in Europe. But the space of centrality is dominated by a neoliberal logic that says: Hey, you might as well get out. And that is why I was saying, this notion of „making“: it becomes like the slums. They have got to make their economy. If they need tables, they don’t go to Walmart, they make them. You make! You return to making! You know, it’s a very elementary space, a space of poverty. I gave an interview some time ago in Spain, and I said: You know, if I were one of these middle class people that have been fired and have no hope, I would go to one of those abandoned villages in the countryside and fix the buildings and start growing food again, bring in other people. They put that in the newspaper, and it was a horror: She’s talking about going back to the rural area! And then all kinds of stories began to appear about people who have done that. You have computer people who forever sat at their desks out there, doing hard work! In Greece, that also started to happen. That’s interesting! SUGGESTED CITATION Sassen, Saskia: "The Have-Nots Will Decide That It’s Not Worth Belonging", VerfBlog, 2013/3/31, https://verfassungsblog.de/the-have-nots-will-decide-that-its-not-worth-belonging/.